Former President George H.W. 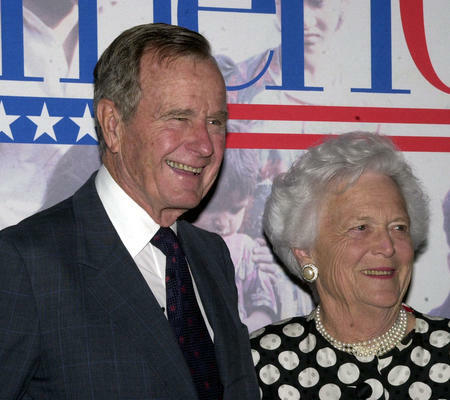 Bush, who had a fraught relationship with American Jews and Israel, has died at 94. As noted in the Times of Israel, Bush aroused American Jewish ire over his arm-twisting attitude toward then-Israeli Prime Minister Yitzhak Shamir. When he withheld loan guarantees to Israel necessary to resettle Soviet Jews, he responded to Israel-supporters' opposition by saying he was "one lonely guy” against “a thousand lobbyists on the Hill." Many Jews took this as an antisemitic statement, implying that American Jews were somehow more powerful than the president of the United States. Bush also strong-armed Shamir into attending the Madrid Conference with the Arab states, which Israel viewed as a major failure due to Israel being completely outnumbered by its enemies. On the other hand, Bush took a major role in aiding Ethiopian, Syrian, and Soviet Jews to emigrate to Israel and the United States. "When you add up the Jews he saved, he will be a great tzaddik,” Abraham Foxman, former head of the Anti-Defamation League said.